This weekend I took a trip on the Empire Builder train to Leavenworth, Washington to see the Christmas lighting ceremony the Bavarian-themed town performs each day to adoring crowds from around the region. Riding Amtrak provided a fun alternative to braving the mountain pass in a car. The return trip was a sightseeing adventure in its own right, the lanky pines bearing a heavy coat of fresh snow. That said, the trip still left much to be desired. The biggest drawback: the train is slow. The return trip to Seattle was scheduled to take four hours and ended up taking almost five after a few track delays. On a good day, driving with no traffic takes 2 hours and 20 minutes. To me, it highlighted the need for passenger rail improvements and a long-term vision for a national network of high speed rail. Luckily, many dreamers have been here before me. Artist Alfred Twu devised the map below in 2013 which seems a solid dream scenario map even if the details are debatable. Twu’s likely overly optimistic math was that if United States built the 20,000 miles of high speed rail over thirty years (667 miles per year) it’d only cost $40 billion per year or about 1.1% of the federal budget (at $60 million per mile). No one said visionaries had to be fiscal conservatives, too. Ultimately air travel being carbon intensive means it will also be expensive. A carbon tax will drive up the cost of aviation fuel making rail travel more competitive since planes are fuel-intensive and cannot be electrified and trains are less fuel intensive and can be electrified. Washington state was 9.25 percentage points short of passing a carbon tax. A better crafted bill may very well succeed. Even if a national carbon tax doesn’t happen, the cost of petroleum (and thus aviation fuel) inevitably will rise since it’s a finite resource feeding a growth-based global economy. The supply is limited. The demand seems endless. Alfred Twu’s plan drew flak for being too unrealistic and expensive. In 2009, the U.S. Department of Transportation’s Federal Railroad Administration (FRA) published its vision for a high speed network with fewer long distance high speed routes. The FRA and other experts argue the sweet spot for high speed rail is trips ranging from 100 to 600 miles between large cities. Beyond 600 miles, air travel is thought to have too big of a time advantage. This makes sense for 2016, but will airfares hold steady and will some consumers seek a carbon-light alternative to lower their carbon footprint? While Twu’s plan took criticism, there are a few headscratchers on the more conservative FTA map. Why not connect Dallas and Houston, Texas’s largest metropolises? Why not add high speed rail between Cleveland and Pittsburgh so that the Chicago Hub Newtork and “Keystone” Northeast Network connect. A more staid think tank called America 2050 has their own three phased plan for expanding high speed rail with a fancy map graphic. President Obama actually put some money behind the plan: $8 billion in stimulus dollars. Unfortunately, his high speed efforts were thwarted by Republican governors and legislatures that moved to block approval. Wisconsin Governor Scott Walker infamously prevented my former city of Minneapolis of connecting with Chicago via Milwaukee. (If only Wisconsin didn’t stand between Minnesota and Chicago…) Florida Governor Rick Scott denied Obama’s efforts to connect Tampa and Orlando with high speed rail. Thus, despite a sizable stimulus package following the economic crash in 2008, funds were denied to our rail network. Nonetheless, we are making progress in fits and starts. California is in the process of building high speed rail between Los Angeles and San Francisco. The line which is expected to offer a top speed of 220 miles per hour and be finished by 2029 with smaller segments opening earlier assuming everything goes according to plan. The second phase of the California high speed rail plan would extend service north to Sacramento and south to San Diego. In the Northeast, the Acela corridor from Boston to Washington, D.C. offers the fastest service in the Amtrak network. The Acela Express section from New York City to D.C. allows maximum speeds of 150 miles per hour although the average speed is 82 miles per hour with intermediate stops. The Obama administration won further improvements to the Acela corridor both in the otherwise pretty flawed transportation bill it shepherded through Congress in 2015 and sped them up by issuing a $2.45 billion loan in August to upgrade the trains to the next generation of Alstom sets with a top speed of 186 miles per hour. Those faster trains are due to go in service in 2021 (although tracks in many stretches would need further upgrades to allow the top speed). The Obama administration left another parting gift to rail advocates: modifying federal rules to be more friendly to faster passenger rail service. Specifically, it changed safety requirements for rail allowing trains to be lighter, faster, and more efficient and still share track with freight rail. American trains are heavy, overbuilt and slow compared to more light and nimble European counterparts. The new standard signals a new focus on crash avoidance rather than crash survivability (essentially armor), and it will cut down on costs because America can now use popular European and Asian models rather than buying tank-like trains built with tons of excess steel specifically for the quirky American market. This is an important hurdle to clear in making a national high speed rail network viable. In its quest to accumulate land, the company cites a state law dating to 1876 that allows a railroad to take private land in Texas for the public good, even if the railroad itself is a for-profit, private company. Such laws have been used for decades by electricity providers, river authorities and oil and gas pipeline concerns to acquire property through eminent domain. But Risinger and about three dozen other property owners situated between Dallas and Houston who have been slapped with similar lawsuits argue that the law was never intended for a bullet train. The lawsuits are just the latest twist in the effort to build what could be the nation’s first truly high-speed rail line. Using technology from Central Japan Railway Co., trains capable of traveling 205 mph would leave stations in Dallas and Houston about every half hour. Closer to home, King County Executive Dow Constantine made some headlines earlier this year for an event at which he promoted high speed rail to British Columbia. Just 142 miles (229 kilometers) separate the two booming city centers meaning a high speed train could cut travel time to less than an hour, making rail the preferred option for most considering the added time of getting to an airport and making it through security. One study suggests that the line would cost $30 billion, although other estimates have been lower. On the other end, 173 miles (278 kilometers) separate downtown Seattle and Portland and it would cost about $20 billion to connect the two with high speed rail, according to Brad Perkins who is CEO of Cascadia High Speed Rail, a company seeking to do just that. It’s a steep price tag but perhaps the spectacle of one hour train rides to Portland not mention big carbon reductions would entice the states of Washington and Oregon to make the investment. Amtrak Cascades continues on to Eugene, roughly 110 miles (177 kilometers) which could also be upgraded to high speed with an additional investment. That would lead us to the biggest chasm a West Coast high speed rail corridor would have to cross: the 474 lonely miles (763 kilometers) between Eugene and Sacramento, which is the farthest north California’s high speed rail system is planned to go. At $60 million per mile, the 474 mile gap would cost $28 billion to bridge, but maybe the result would eventually be worth it. Seattle to Los Angeles by transit would go from 31 hours to six hours (if the train can average almost 200 miles per hour.) Even a flight takes three hours plus all the hoopla at the airport, so it seems high speed rail could compete with air travel by being slightly slower but more comfortable, cheaper, and terminating in a city center rather than on the urban fringe. It’s harder to envision coast to coast high speed rail, at least without massive federal intervention. Connecting Los Angeles and Las Vegas isn’t so daunting but from there its 748 miles to Denver and another 1,004 miles to Chicago. From Chicago it’s 697 miles to Washington, D.C. or 790 miles to New York City (via straighter interstate right-of-way.) That means LA to NYC would be about 2,800 miles of track and take 14 hours if an average speed of 200 miles per hour could be maintained. It’s not nearly as speedy as air travel but it might be only the only option many Americans can afford if rising fuel prices drives airline travel beyond their means. In addition to the flashy high speed rail between the big cities, more incremental improvements to Amtrak service to smaller cities would help a wider swath of America and feed into the high-speed mainline service. At first, it’s likely that regional high speed networks will develop like the one that already slowly working its way to high speed in the Northeast and California’s network that’s under construction. However, the Federal government might eventually see the wisdom in connecting the regional high speed networks to build some sustainability into our transportation network. It’d probably make more financial sense than highway expansion. We can’t keep burning carbon forever. Great column, but it leaves out details (aside from the maps) for what is likely the most promising megaregion for at least high-performance rail services (110 mph), the Midwest. The Midwest has its single, large agglomeration economy (Chicago) surrounded by numerous smaller economies with metro populations of at least 2 million within 400 miles (Indianapolis, Cincinnati, Detroit, St. Louis, Cleveland, Milwaukee, Minneapolis-St. Paul, etc.). These cities also have a lot of opportunity for infill development, which a high speed rail station could anchor. 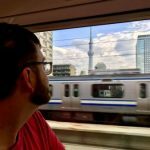 Cascadia High Speed Rail is a great idea! As with all rail improvements, we have to make difficult choices between cheaper incremental improvements or a bigger investment in all new tracks. Even though the corridor between Vancouver and Portland (and Eugene) is relatively flat, there are still a lot of challenging obstacles in the way. Incremental improvements may never give us the higher speeds that will encourage the majority of travelers to switch away from cars and airplanes for their intra-Cascadia travel. We should plan big and imagine what a completely new track would look like, similar to what California is building. I highly recommend the detailed maps that a few volunteers have produced at http://www.cascadiahighspeedrail.com/. They go into amazing amounts of detail about where potential new HSR tracks should be built! Took a quick look at the maps – the route skips Tacoma entirely, builds Seattle’s station on north Beacon Hill, and then proposes a parking garage and hotel in the greenbelt between I5 and north Beacon Hill rather than a station in downtown Seattle. I’m sorry but I can’t even begin to take any of those ideas seriously. Yeah, I disagree with those two choices, too. But I think they were trying keep costs down by placing the stations in those spots. Still, I think it would be worth the added cost of having downtown stations in Tacoma and Seattle because the increase in ridership would likely offset the costs in the long run. Figure 1 from the FTA report is spot on. High Speed rail advocates should focus on conurbanations and regions with multiple large cities. The Acela corridor is the premier example of this, but I think Vancouver to Portland (or Eugene) could qualify – there are lots of intermediate destinations (most importantly Seattle..) so there should be strong turnover along the route, which is more important than end-to-end travel. As for connecting Cascadia to California, I don’t think rail will ever pencil out. By the time you spend that $28B, you might as well just run autonomous electric buses every hour between Eugene and Sacramento. From a time standpoint, planes will always be faster, and from a green/carbon standpoint, the huge physical investment in all that rail infrastructure would outweigh savings. How does air travel work in a post-petroleum economy? Maybe renewable jet fuel technology develops, maybe not. I’m skeptical we’ll see it this century. We could maybe run commercial planes on alcohol-derived fuel but where would we get all the organic matter to make the fuel what with increasing demand for food and for land already taxing the agriculture sector? Until we’ve met higher priorities for high speed rail implementation, I agree buses plus less capital intensive improvements to marginally improve the existing Amtrak line to Sacramento will suffice. I don’t think we’ll have a post-petroleum economy, at least not in this century, so I see long-distance high-speed rail as a solution in search of a problem. If you want to avoid the carbon footprint of flying, take the Amtrak or the (electric) bus. If climate change is a true crisis, we can make the sacrifice of a few extra hours of travel. Change people’s behavior; don’t build infrastructure just to enable current preferences. It’s like trying to solve global warming by building electric powered SUVs rather than trying to get more people to take the bus. Ultimately, I just think are many, many better things to spend money on than high speed rail between Eugene and Sacramento. Isolating it to just transportation infrastructure, there is so much more we can do to improve intracity travel and <600 mile intracity travel before we even begin to build high speed rail between regions. Long haul trips is just too small of a fraction of our national transportation volume to merit more than incremental capital improvements. Looking at the America2050 map, stay focused on the thick lines, not the skinny ones. A lot of high-value, priority freight (iPhones, for example) moves by air. But upgrading existing rail lines to maximize speed first will probably be what’s done before seriously considering building new lines for high speed trains.